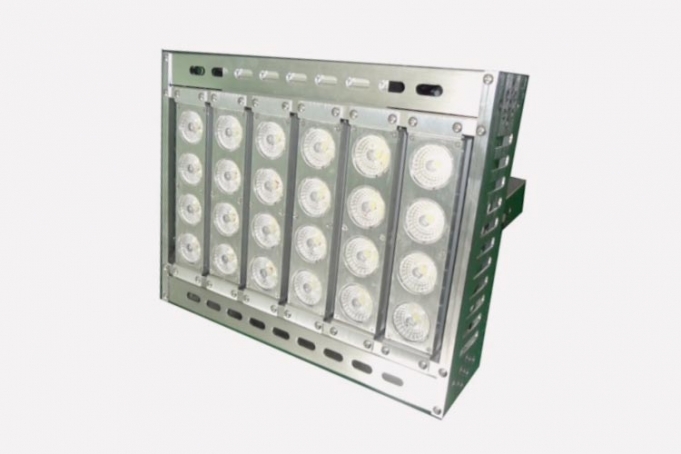 A high powered 200 watt LED floodlight with five years warranty. A 200 watt LED floodlight suitable for the outdoors on structures such as sports venues, large construction sites and shopping malls. A very innovative and recently improved LED lighting product. It offers a 10, 25, 40, 60 and 90 degree premium precise optical lens angle system and anti-glare, therefore making it suitable for any occasion.